This video is circulating with false captions on social media. Please find more details in this article. 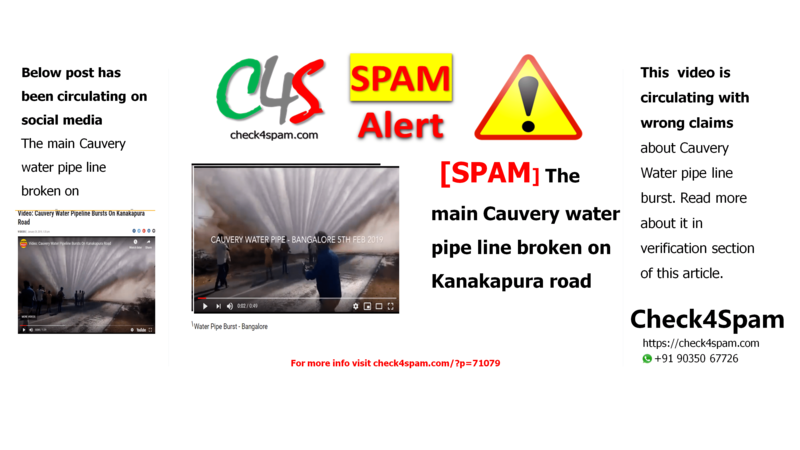 Tuesday 5th Feb. 2019 Bangalore: The main Cauvery water pipe line broken on Kanakapura road. One of the most beautiful scene – even better than man made fountain.